'The thing he felt ending was not just one person, or even one generation; it was older, and had, in truth, been ending for a long time . . . It was a chain of stories clinging to stories, of love clinging to love. It was an inheritance he did not know how to pass on.' Shetland: a place of sheep and soil, of harsh weather, close ties and an age-old way of life. A place where David has lived all his life, like his father and grandfather before him, but where he abides only in the present moment. A place where Sandy, a newcomer but already a crofter, may have finally found a home. A place that Alice has fled to after the death of her husband. But times do change - island inhabitants die, or move away, and David worries that no young families will take over the chain of stories and care that this valley has always needed, while others wonder if it was ever truly theirs to join. In the wind and sun and storms from the Atlantic, these islanders must decide: what is left of us when the day's work is done, the children grown, and all our choices have been made? 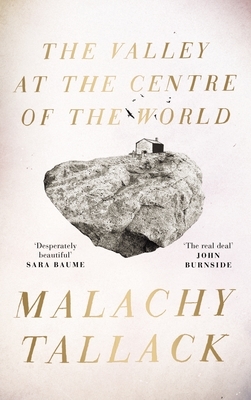 The debut novel from one of our most exciting new literary voices, The Valley at the Centre of the World is a story about community and isolation, about what is passed down, and what is lost between the cracks.